Hampton Inn Elkhart is located on the north side of Elkhart at I-80/90 (Indiana Toll Road) at Exit 92. We are within walking distance of Applebee's and Cracker Barrel. Other nearby restaurants include Callahan's Restaurant, Country Club Lounge, and Gubis. Area attractions include shopping malls, historical museums, theaters, and county parks. 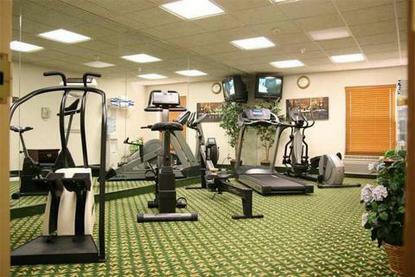 We feature 62 rooms, interior corridor, indoor heated pool/spa, wireless high speed internet and exercise gym. Amenities include complimentary continental breakfast and TV with cable & Hbo. We also have hair dryers, and irons in all guest rooms. Meeting/banquet facilities are available for a nominal fee.